This exclusive Thirty Mile Point, New York Lighthouse is an authentic replicate. 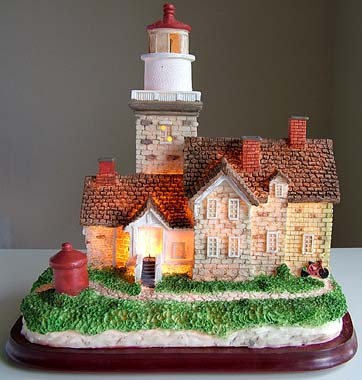 Named "lighthouse that is lit-up," this creative art piece also makes a beautiful nightlight. Handcrafted with the finest details, our goal is to bring the highest quality artworks into your home or office. Poly-Resin /Wood, 9 inches W. x 8.75 inches H.